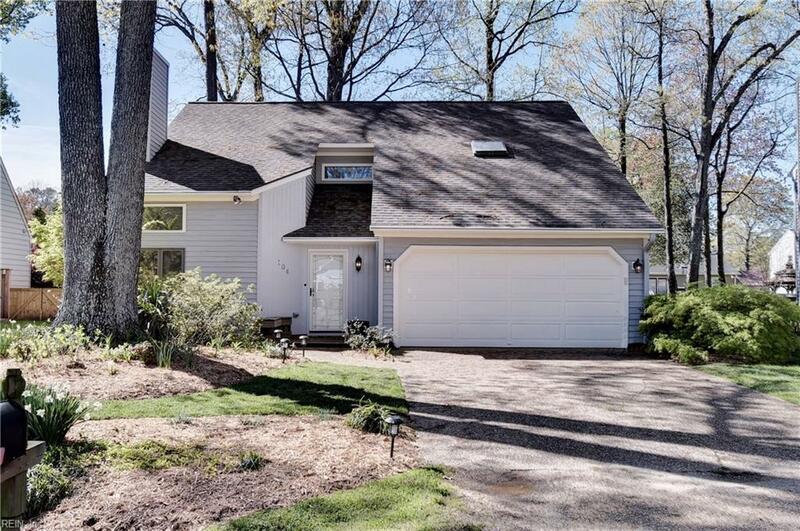 104 Heath Pl, York County, VA 23693 (#10251821) :: Abbitt Realty Co. 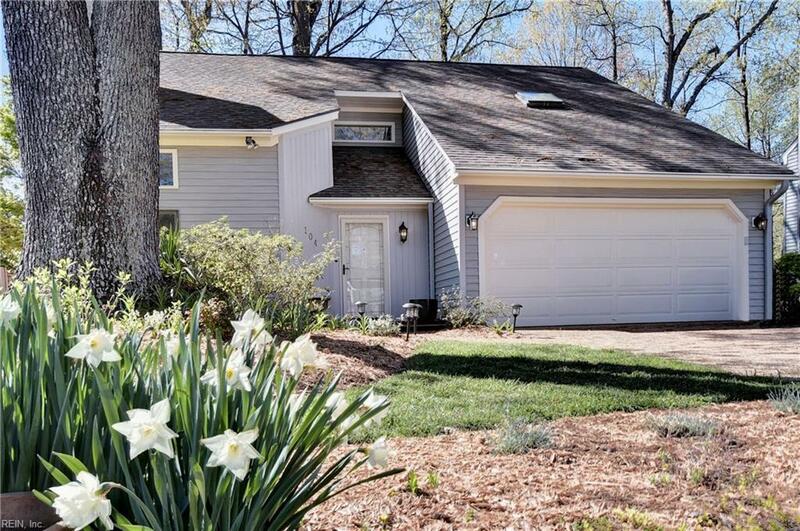 Located in the sought after Tabb Lakes community in Yorktown & zoned for Grafton High School, this gorgeous contemporary style home has been meticulously maintained & features a bright & open floor plan w/vaulted cathedral ceilings & skylights. 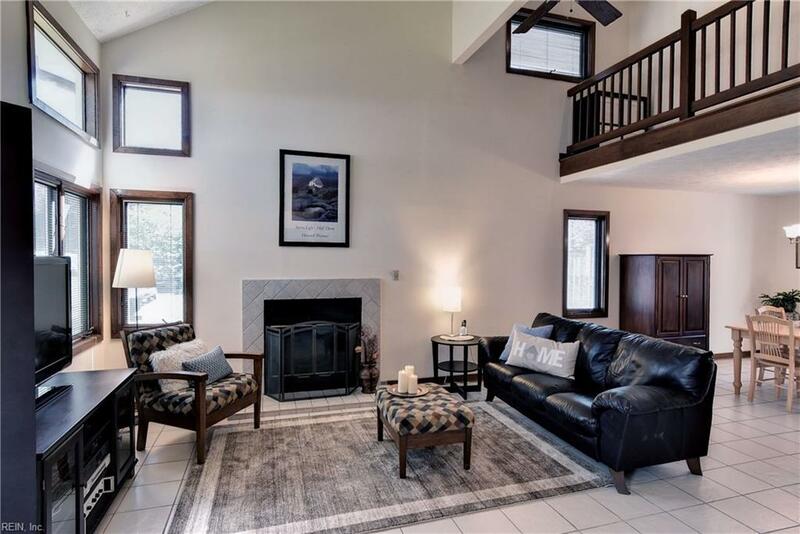 You will be wowed by the beautifully remodeled open eat-in kitchen with stainless appliances,dining room w/updated wet bar, spacious living room featuring w/wood burning ceramic tiled fireplace & separate den that leads out to the back deck. Upstairs the landing is open to the living room & all the bedrooms are of a generous size. The master bedroom features a stunning new master bath with double vanity, soaking tub & separate shower. To the rear is a spacious fenced backyard,large deck with built in seating/pergola for entertaining & custom built shed with potting bench, storage loft & sky light. 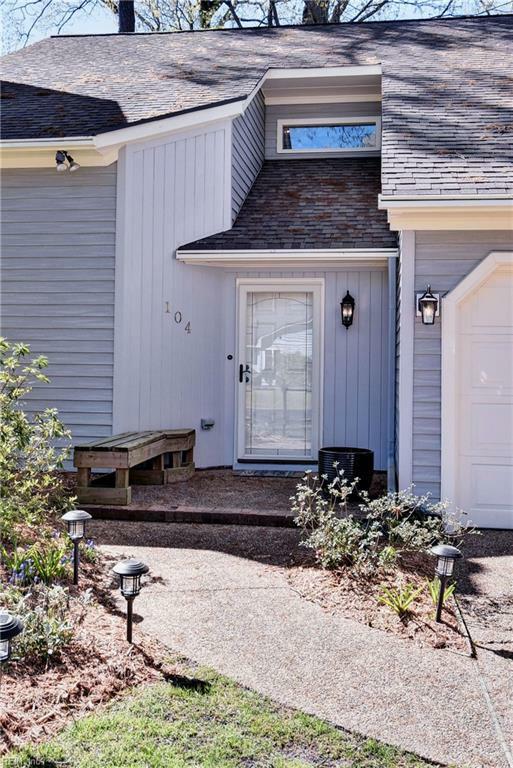 Home also features ceramic tile & luxury vinyl plank flooring, tankless gas water heater, updated laundry area with mop sink & 2-car attached garage.